These pages are designed by me and should look good in all browsers. This is a frameless design based on CCS, which means that even handhelds can access this site. Text browsers also work (lynx is tested). 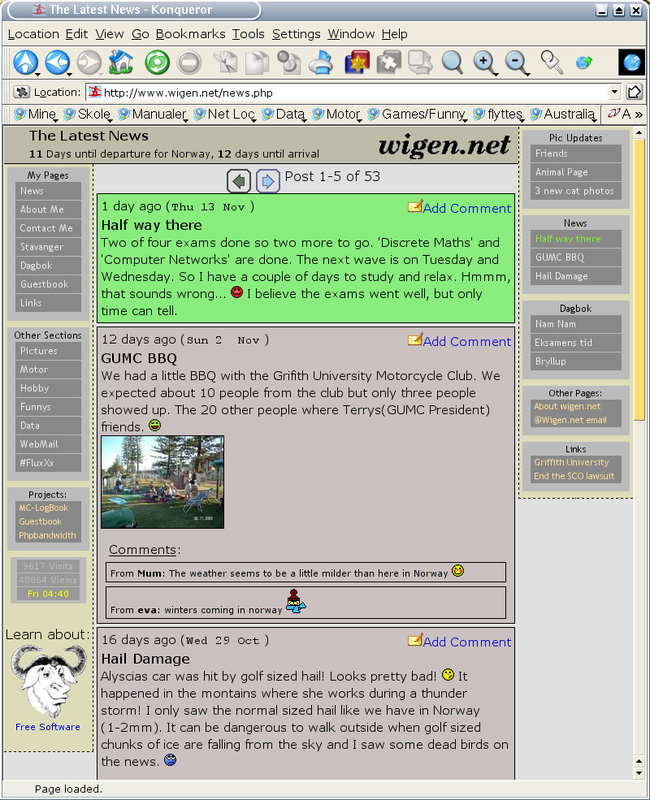 Screenshot of scaling down to 640px width. The pages have very low in grapichal content, this improves loading speed over the slow DSL line it is hosted. The powerful scripting language PHP is used to make the pages easily updatable, and the fantastic sql database postgresql stores much of the data.